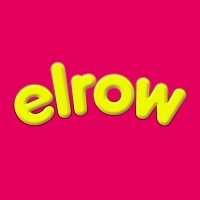 Elrow is an established Spanish Ibiza club brand which hosts events both on the island and around the world. "In a unique first, elrow's Sambodromo do Brasil and Psychedelic Trip themes will collide with Fatboy Slim's special production to deliver a truly unforgettable collaboration that will take the celebrations to new heights. it is the first time that elrow is hosting a headline show for an artist such as Fatboy - watch out for an extra-special show that is curated in collaboration." Sun 21st Apr 2019 ElrowMotion/ The Marble Factory (Bristol)More Info.. Sat 27th Jul 2019 ElrowRoyal Highland Centre (Edinburgh)More Info.. Sat 17th Aug 2019 ElrowTrent Park (London)More Info..